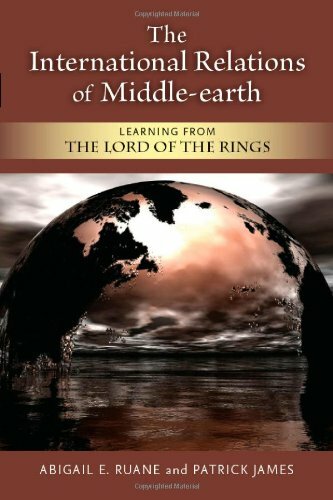 Based on their successful undergraduate course at the University of Southern California, Abigail E. Ruane and Patrick James provide an introduction to International Relations using J. R. R. Tolkien's fantastically popular trilogyThe Lord of the Rings. Because Tolkien's major themes---such as good versus evil and human agency versus determinism---are perennially relevant to International Relations,The Lord of the Ringsis well suited for application to the study of politics in our own world. This innovative combination of social science and humanities approaches to illustrate key concepts engages students and stimulates critical thinking in new and exciting ways.